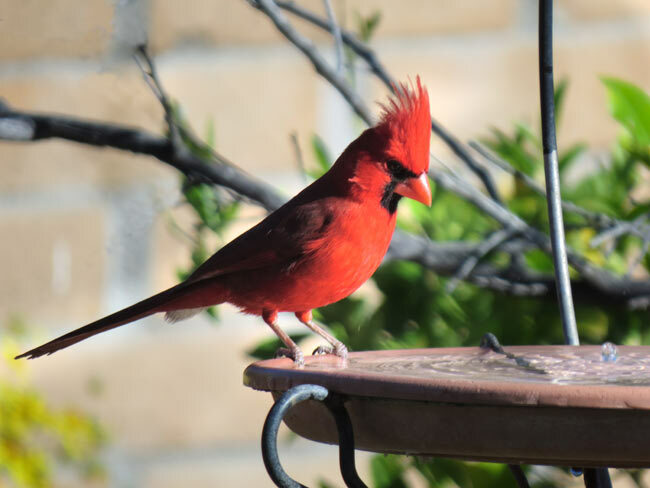 Bright Red Cardinal and Bathing – will he or won’t he? One has to always be on alert. As I stepped outside to check the hummingbird feeders, I noticed this brilliant fellow sitting in a tree. I quietly moved back inside and got my camera. Fortunately the sliding door was open so that I was able to capture a few good shots. Here is he contemplating diving into the birdbath which he did in a moment. He is worthy of a greeting card or print – so that will be posted at some later date.